Bob Butler along with his wife Gertrude, have been intimately involved with Maine basketball for over sixty years. 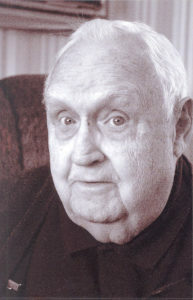 As the unofficial historian of the game, Bob kept statistics for the MPA for 41 years and was the point person for compiling the Heal Points before they recently became computerized. Bob served as an liaison for coaches and Athletic Directors with the MPA and, became the “official” source basketball people turned to with historical questions regarding Maine basketball. Bob still updates the MPA tournament programs with individual and team records.